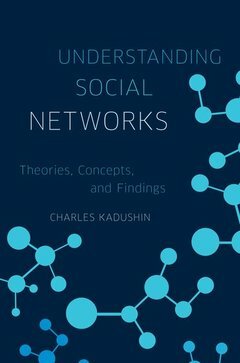 Despite the spread and adoption of social network concepts outside of the academy and the rising use of social network analysis across a number of disciplines, there is no general book designed for serious readers that introduces them to the basic ideas and concepts of social networks. Understanding Social Networks fills that gap by explaining the big ideas that underlie the social network phenomenon. Written for the reader who has never studied social networks, it covers fundamental concepts, then discusses networks and their core themes in increasing order of complexity. Kadushin demystifies the concepts, theories, and findings developed by network experts. He selects material that serves as basic building blocks and examples of best practices that will allow the reader to understand and evaluate new developments as they emerge. Understanding Social Networks will be useful to social scientists who encounter social network research in their reading, students new to the network field, as well as managers, marketers, and others who constantly encounter social networks in their work. Charles Kadushin is Emeritus Professor of Sociology at the CUNY Graduate Center and Distinguished Scholar at the Cohen Center for Modern Jewish Studies and Visiting Research Professor of Sociology at Brandeis University. He is the author of seven books, including The American Intellectual Elite and Books: The Culture and Commerce of Publishing.